What makes the South African E23 745i unique? 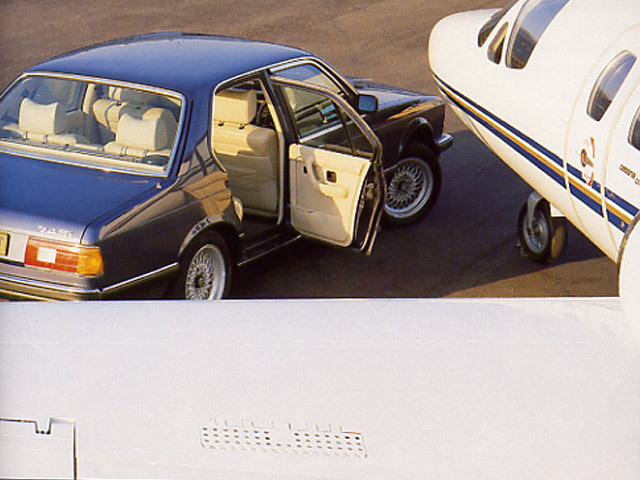 Why was the M88-powered 7 Series not badged as an M7? It is not entirely clear why the M88-powered 7 Series was not badged as an M7. It may have been because of BMW AG's policy (which continues to this day) of not bestowing any 7 Series model with a proper M badge. It may also be because BMW AG did not wish to upstage the turbocharged 745i sold in Europe, which was ultimately less powerful than the 24-valve version. Why was the M88-powered E23 745i developed for South Africa? After experimenting with various new V8 and V12 engines, BMW AG decided to use a turbocharged version of the existing SOHC M30 inline-six in its flagship E23 7 Series model. However, because of packaging restrictions caused by the addition of the turbocharger, this engine could not be fitted to right-hand drive cars. Not content with selling a left-hand drive version of the 745i in a right-hand drive market, BMW of South Africa decided to instead to create a unique E23 variation powered by the 24-valve M88 engine already developed by BMW Motorsport for the E24 6 Series and E28 5 Series. Assembled in South Africa from Complete Knock-Down (CKD) kits, this special right-hand drive model was sold exclusively in the domestic market, though at least one example was subsequently exported to Europe. Why is the M88-powered 745i unique to South Africa? 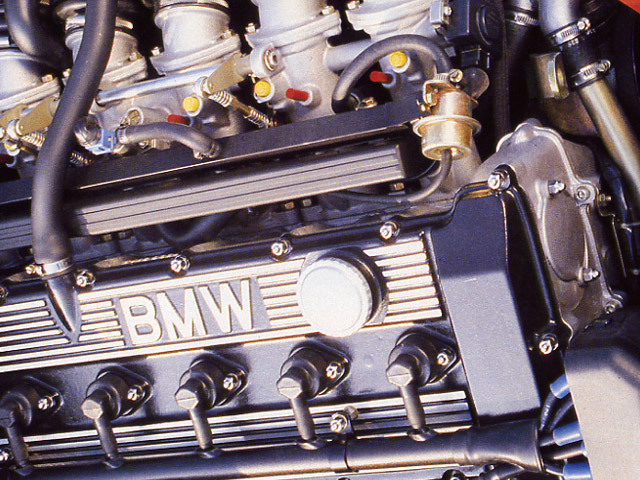 BMW has never officially stated why the German-built 745i models did not receive the M88 engine. The most likely explanation is that the M88 powerplant, developed originally for the M1 sports car, is a fairly noisy unit that develops its peak power at a relatively high engine speed. This was perhaps at odds with the role of the 7 Series as a refined luxury sedan, thus the smoother turbocharged unit was deemed more appropriate for use in 745i models sold in all other markets. In addition, it is unlikely that BMW could have produced enough M88 engines to satisfy demand, had the M motor been used in the German-built 745i. Where was the South African E23 745i built? Like all E23 7 Series sold in South Africa, the 745i was assembled in small numbers at BMW's Rosslyn, South Africa factory from Complete Knock-Down (CKD) kits supplied from Germany. How many versions of the M88-powered E23 745i were developed? Just one version of the M88-powered 745i was developed, exclusively in right-hand drive for the South African market. How many examples of the M88-powered E23 745i were prodcued? 209 examples of the M88-powered 745i sedan were produced by BMW South Africa from January 1984 through April 1987. Of these, approximately 17 were equipped with a Getrag 5-speed manual transmission (model 6918) and the remainder were fitted with a ZF four-speed automatic (model 6928). What changes were made to the South African E23 745i during its producton? With the exception of minor equipment alterations common to the entire E23 7 Series range such as an updated steering wheel design and improved on-board computer, there were no major changes to the South African 745i during the two and a half years that it was produced. What makes the M88 powerplant unique? The M88 engine in the South African 745i is an evolution of the 24-valve inline-six developed for the mid-engine M1 supercar and is identical to the unit used in the non-catalyst versions of the E24 M635CSi and E28 M5. Like the 12-valve M30 engine upon which it is based, the M88 has a displacement of 3,453cc via a bore of 93.4mm and a stroke of 84mm. Unique to the M88 is the four-valve crossflow cylinder head (with 37mm inlet valves and 32mm exhaust valves) designed for better breathing at high rpm and a pair of 264-degree camshafts. With Bosch Motronic engine management and a lack of smog controls, the M88 produces 286 hp (DIN) at 6,500 rpm and 251 lb/ft of torque at 4,500 rpm. It is worth noting that the M88 engines fitted to early examples of the South African 745i are simply inscribed "BMW" on their cam cover in place of the later "M Power" designation shared with the E24 M635CSi and E28 M5. What kind of gearboxes were offered on the South African-spec 745i? Most examples of the South African-spec 745i were equipped with a computer-controlled ZF four-speed automatic transmission with Sport, Economy and Manual shift point modes mated to a 3.73:1 rear axle ratio and limited slip differential. Unlike the German-built 745i, the South African version was also offered with a Getrag five-speed manual gearbox with a "dogleg" shift pattern and the following ratios: 3.72 (1), 2.40 (2), 1.77 (3), 1.24 (4), 1.00 (5). 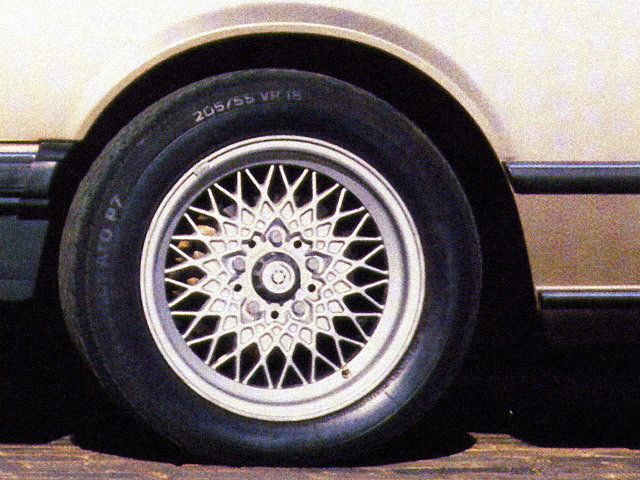 These were equipped with a 3.45:1 rear end with limited slip. How is the South African-spec 745i's suspension different from that of the German-built version? The suspension of the South African-spec 745i is slightly firmer than that of the European-spec model and a load-leveling rear axle is standard. What size brakes does the South African-spec 745i have? The South African-spec 745i is equipped with the same brakes as the E24 M635CSi and E28 M5: 11.8-inch (300mm) vented discs in front and 11.2-inch (285mm) solid discs in the rear with standard ABS. What size wheels and tires does the South African-spec 745i have? The South African-spec 745i is fitted with BBS Mahle cross-spoke alloy wheels featuring special center caps bearing the BMW Motorsport colors. These measure 7x16-inch in front and 8x16-inch in rear and are fitted with staggered 205/55VR16 (front) and 225/50VR16 (rear) tires. How does the exterior of the South African-spec 745i differ from that of the German-built model? The exterior of the M88-powered 745i is distinguished from other 7 Series models only by its 16-inch BBS Mahle alloy wheels. There are no M badges or any other special trim items on the exterior of the car. How is the interior of the South African-spec 745i different from that of the German-built model? 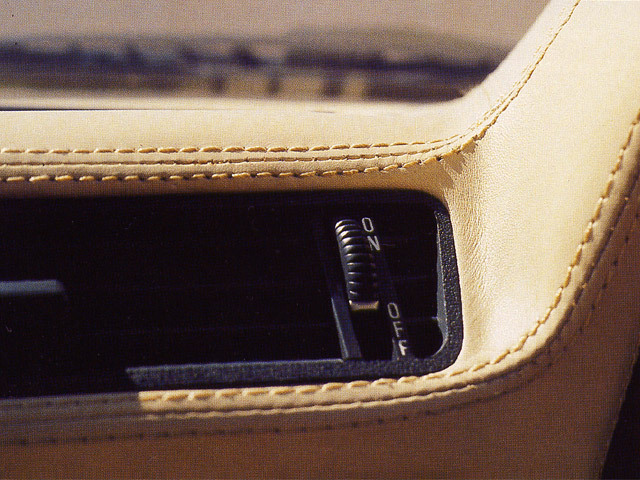 Unlike the exterior, the interior of the M88-powered 745i contains many special features. 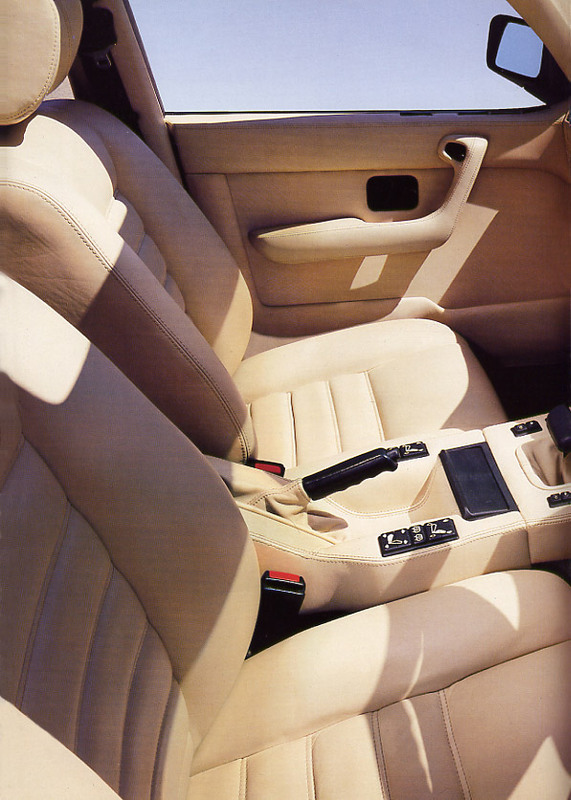 The entire cabin including the dashboard, center console, door panels and headliner is covered in ultra-soft Nappa leather (later known as the "Highline" interior, this extensive leather option was not offered on German-built E23s until the final 1986 model year). 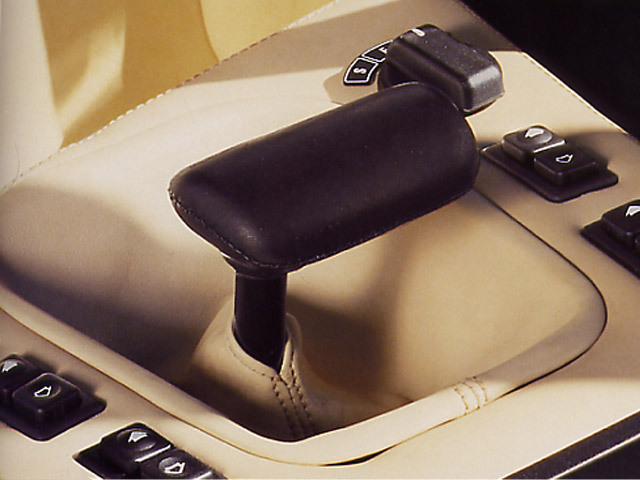 The center console itself is shaped slightly differently than in other E23 models, with the power window switches located around the shifter instead of around the parking brake handle and the ashtray located behind the shifter instead of below the radio. 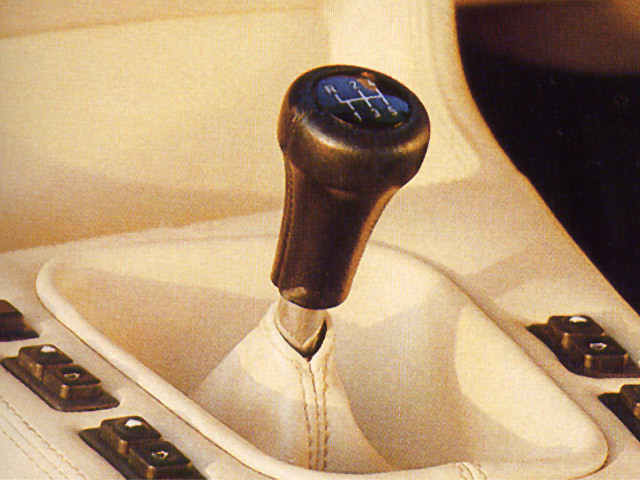 On cars with an automatic transmission, the shift lever lacks the usual "PRND321" markings and is surrounded by a leather boot. 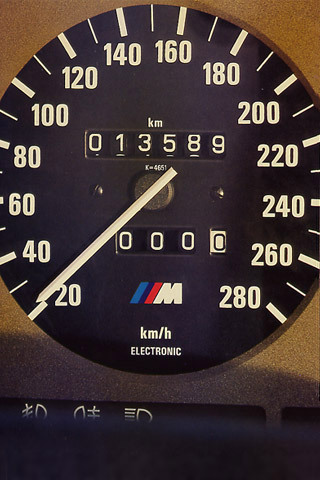 Also unique to the South African-spec 745i is a special instrument cluster with the M logo on both the speedometer and tachometer faces though it appears that the M logo was removed from the speedometer face early into production. 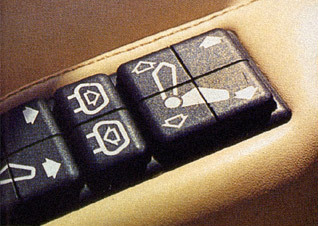 The leather-wrapped steering wheel is a three-spoke (non-M) design. What features are included in the South African-spec 745i's interior? The interior of every South African-spec 745i is equipped with essentially all available E23 features including power windows, power mirrors, power front seats, power rear seats, power glass moonroof (deletable upon request), automatic climate control, cruise control, check control, on-board computer, radio/cassette audio system and rear window sunshade. NO OFFICIAL SPECIAL VERSIONS OF THE E23 745I (M88) WERE PRODUCED. The E23 745i M88 was offered in the same exterior paint colors that were available on all South African-built E23s produced during the same production period. 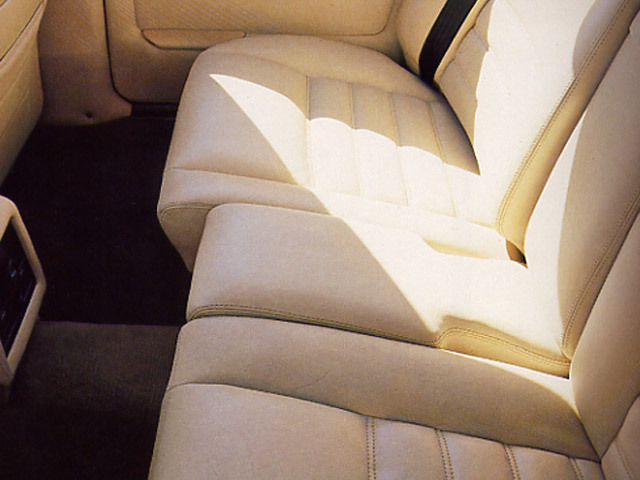 However, its unique complete Nappa leather interior was offered only in Oyster and Indigo.